What do you do with chocolate cake and a bag of Oreos? 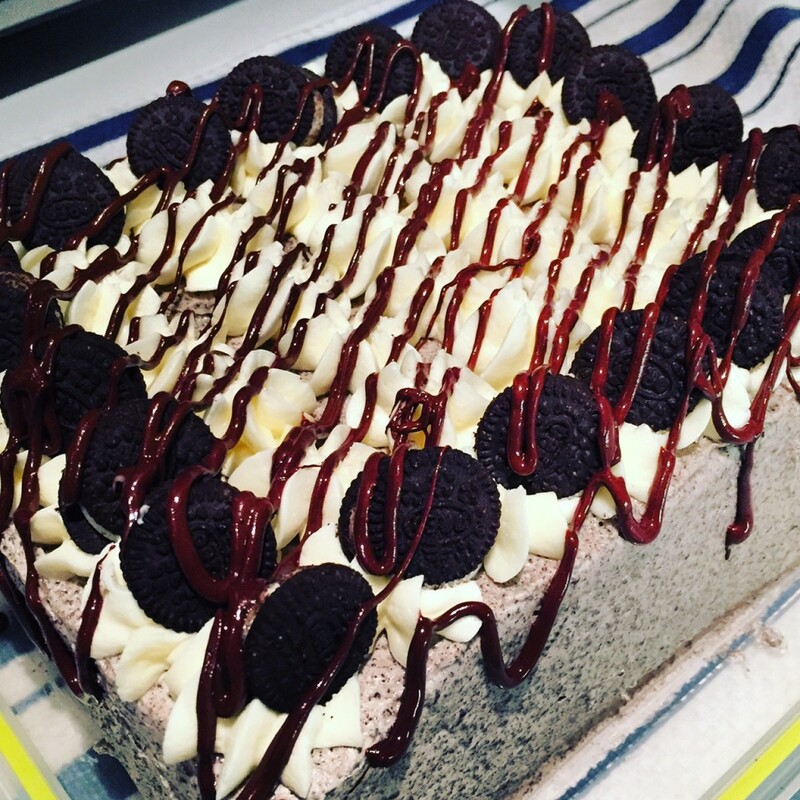 How about this cookies and cream cake? Inspired by these cupcakes. Line and grease the bottom of a 9×13-inch cake pan. Preheat the oven to 350°F. Mix wet ingredients together and sift in all the dry ingredients. Give everything a good stir and pour the batter into prepared tin. Bake for 25-30 minute until the top of the cake is springy. Cool completely and cut the cake in half forming two even layers. Beat the butter until light and fluffy. Add the icing sugar and the vanilla and mix until fully incorporated. With the motor running add the milk in a steady stream. Remove about half the frosting before beating in the cookie crumbs. 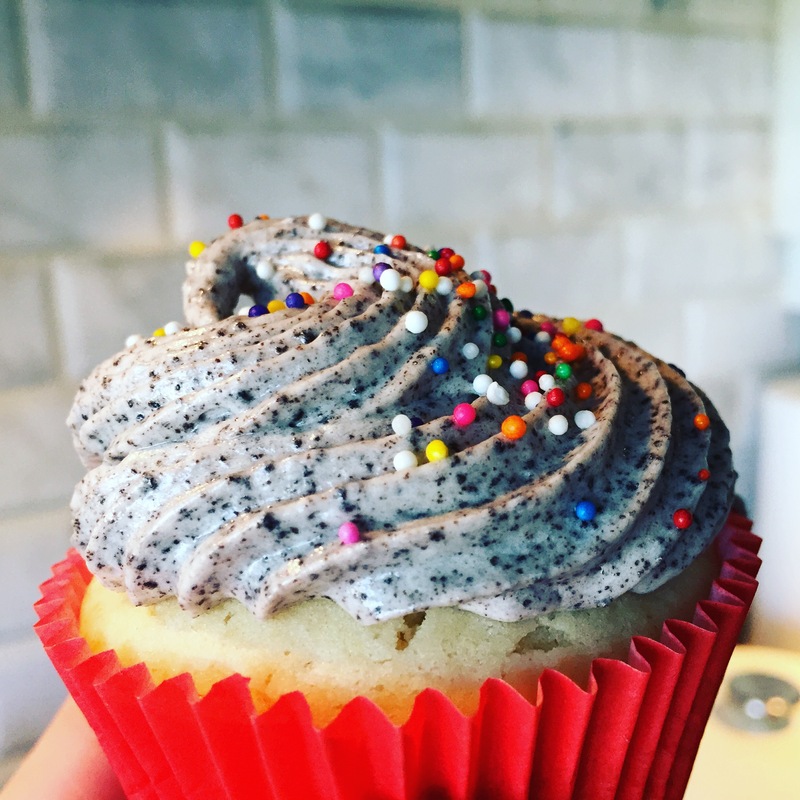 To assemble, place a cake layer on the cake plate spread half the white colored vanilla frost on the cake and place the rest of the white frosting into a piping bag fitted with a start tip. Top with the second layer and frost the top and sides of the cake with the cookies and cream frosting. Pipe the rest of the white frosting on top of the cake and decorate the top with some mini Oreos if desired.